Cuireann NEPS seirbhís comhairliúchain ar fáil do scoileanna. Aithníonn an Lucht Tacaíochta Foghlama, an Príomhoide agus an Siceolaí ó NEPS tosaíochtaí na scoile gach bliain, chun an tairbhe is mó is féidir a bhaint as an seirbhís seo do Ghaelscoil Osraí. 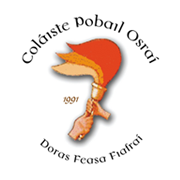 na páistí a gheobhaidh an tairbhe is mó sa scoil seo de bharr aoise, luath-idirghábháil agus dóibh siúd a chuirfear an t-eolas is fiúntí ar fáil don fhoireann teagaisc sa scoil. 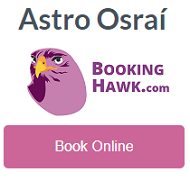 na páistí nár déanadh tuairiscí orthu cheana féin. De ghnáth, aimsítear na páistí go bhfuil gá acu le tuairiscí, tríd ghnáth-mheasúnú, scrúdaithe caighdeánacha agus ag éirí as iad á dtabhairt faoi deara sa seomra ranga. Má lorgaítear tuairisc ar pháiste nách bhfuil san áireamh ag múinteoirí na scoile, caithfear an páipeárachas cuí a bheith curtha isteach le h-iarratas ar NEPS, ag cur síos ar na riachtanaisí agus ar na h-aidhmeanna a bhaineann leis an tuairisc a chur ar fáil dóibh siúd atá á lorg. Cuirfear ainm an pháiste seo, le liosta ainmneacha na bpáistí a eile agus tógfar na cinní de réir ár gcritéirí i leith tuairiscí luaite i bpointe 2 thuas. Tá gach a bhaineann le paistí a áirítear anseo fé rún. NEPS provide a consultation service for schools. The school priorities for this service are identified at planning meetings involving the LS/RT team, the principal and the NEPS psychologist. Those children with the greatest need. Those who will benefit most from an assessment in terms of age, early intervention and for whom an assessment is most likely to inform our teaching. Children who have not been previously assessed. 4. Children in need of assessment are generally identified within the school through routine testing, standardised testing and classroom observation. 5.All requests from outside the school, for NEPS assessments, have to be accompanied by appropriate paperwork detailing the needs and purpose for assessment. They will be added to the list of those in need of assessment and prioritised according to our assessment criteria. 6.Names and details of children considered for assessment are confidential. Na Critéirí seo bunaithe ar An Roinn Oideachais, Coircealán ar Oideachas 02/05. Déantar scagadh, measúnú agus roghnú mar a mholtar sna Treoirlínte le hAghaidh Tacaíochta Foghlama, 2000, agus an Cur Chuige Céimithe á chleachtadh mar a mholtar san Continuum Tacaíochta, 2007. Assessment criteria based on Department of Education, Special Education Circular 02/05.